You have just finished work and you decide to quickly pass by the sunbed shop to top up the fading memories of your amazing summer. You know exactly what you want- how many minutes you are going on for, which bed you want to use because let’s face it, this isn’t your first time. The most annoying question…If I wanted some cream, I would have asked for it! But why do we find that question so irritating? And why don’t we use the creams that the salon sells? 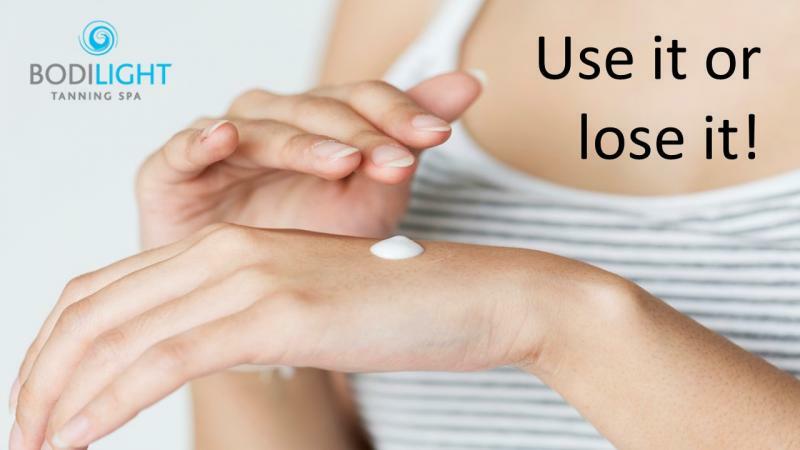 Most people assume that these creams are a waste of money. However, they are actually there to help increase and prolong your tan. I am someone that loves to have a sun kissed glow all year round, and sadly the weather in this country does not help with that. I use the sunbeds, in moderation, to maintain my tan and to give me a good base before I go on holiday. I find those 8 minutes of heat a complete escape from the cold wind that totally dries out my skin. I used to absolutely avoid any type of cream before using the sunbed because, quite frankly, I could not be bothered to apply a lotion before going on. Oh how I wasted so many tanning minutes! Australian gold is an extremely well-known brand that not only produce sunbed creams, but also sun factors, fake tans, after sun and tan extenders. You can buy the tanning lotions in sachets or bottles. In my experience a sachet can last for 2 sessions but if you use the beds more regularly, a bottle will be more cost effective. There are different types of creams available, depending on what you want. Tanning Accelerator – This is Australians Gold’s number 1 tanning lotion. It has a formula that works with your natural pigmentation to help you develop a deeper tan at a faster rate. Bronzing cream – This cream has bronzers in it that will continue to develop after you have finished using the sunbed. Australian Gold have different levels of bronzing creams from the standard bronze to deviously dark. Tingle cream – As the name suggests, this cream will cause a tingling sensation when applied. the purpose of this is to bring the blood to the surface of your skin to help maximise your minutes on the sunbed and increase your tan. A word of warning…you will come off the sunbed looking more red than usual but this isn’t because your skin has burnt. This is for advanced tanners so if you are pale skinned or sensitive, avoid! Sensitive skin – Australian Gold also do a hypoallergenic range for those of us with sensitive skin. These creams are fragrance free to help avoid any irritation, but still contain all the goodness to keep your skin nourished. Applying a high quality tanning lotion to your skin, like Australian Gold, will keep your skin moisturised during your session. If you choose to use the sunbed without a tanning lotion or an accelerator, your skin will reflect as much as 60% of the UV rays. So basically you will need to use the sunbed for a longer period of time to achieve your desired tanning result. These creams contain vitamins, such a vitamin E which is known to help prevent those pesky wrinkles. They also have nourishing, natural oils and botanical extracts, like aloe vera to give your skin the extra moisture it needs whilst tanning. Dry skin takes longer to tan people! The next time you pop in to Bodilight for a quick tanning session, pick up a sachet and give it a go. These creams will keep your skin moisturised, accelerate your tan and make sure every minute you have paid for is put to good use. If you want maximum tanning results in a faster period of time you will not be disappointed; how could you be?